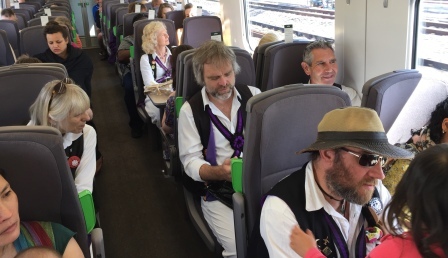 A day out on the train! 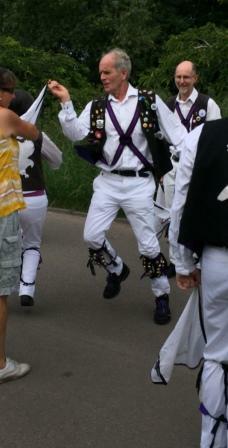 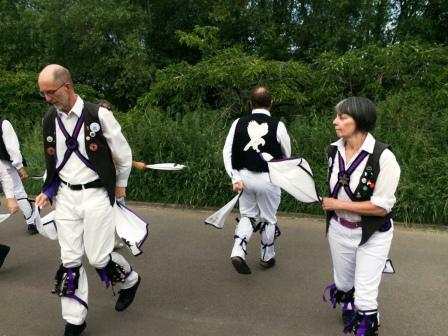 Off to the main arena – for a spot of crowd pleasing! 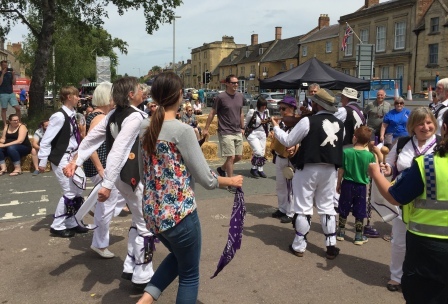 Off on the train to Cornbury – stopping en route to pub to wow the fete! 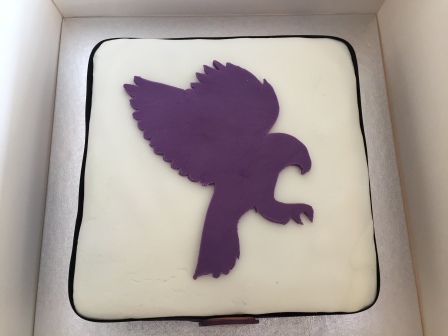 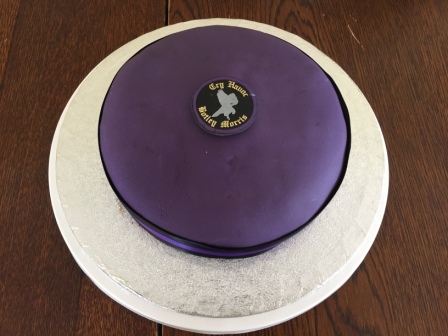 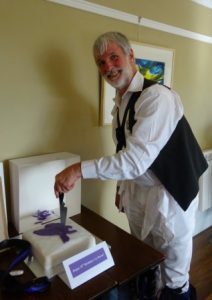 Cake – courtesy of Greg – our recruit in waiting! New Summer kit? 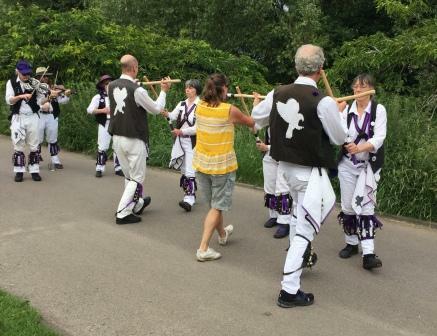 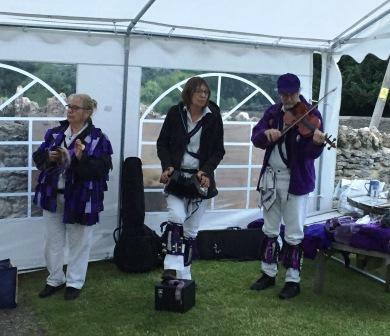 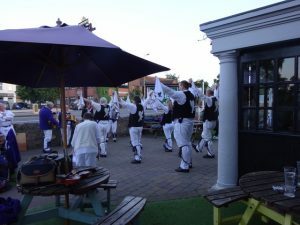 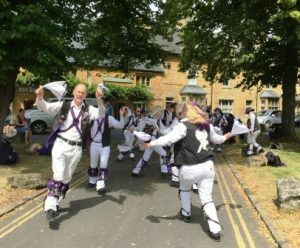 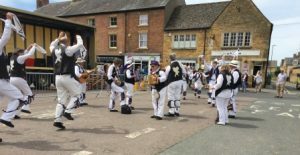 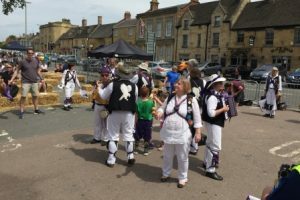 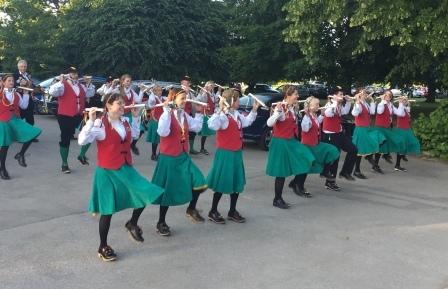 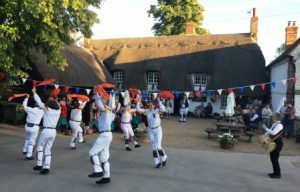 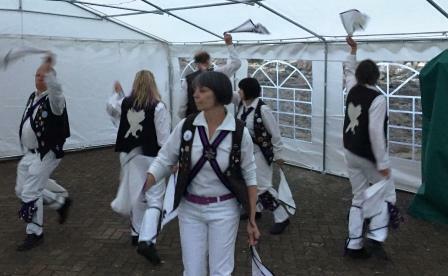 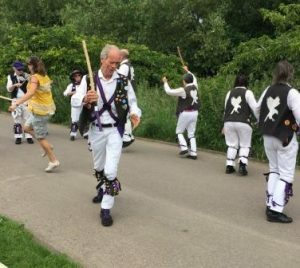 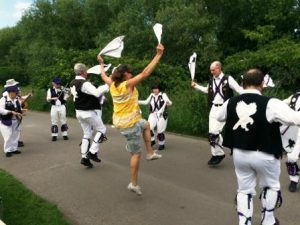 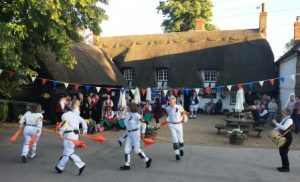 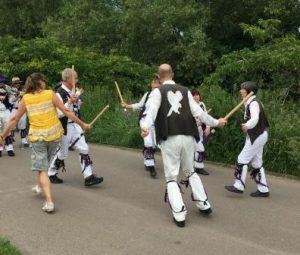 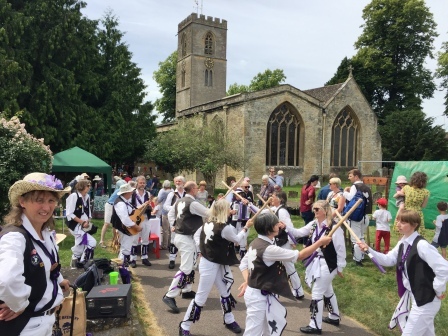 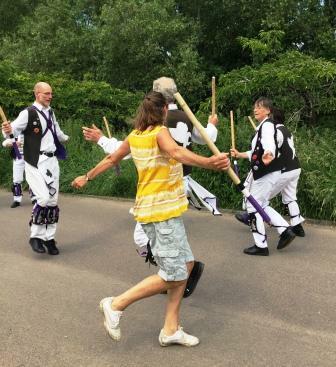 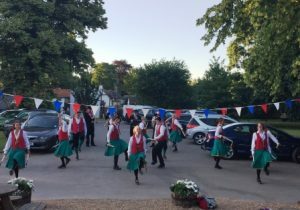 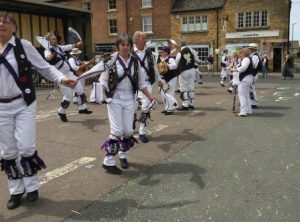 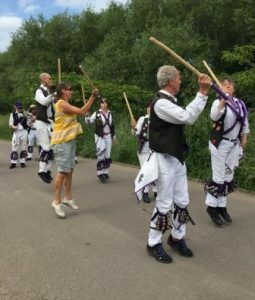 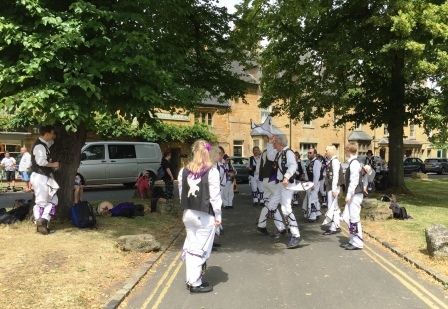 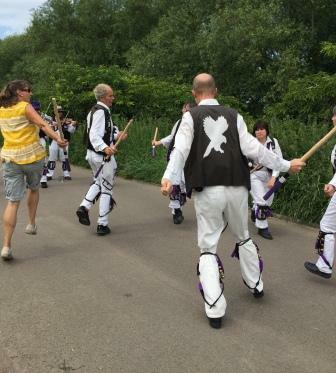 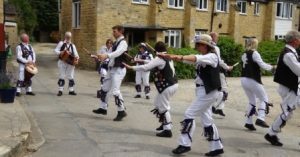 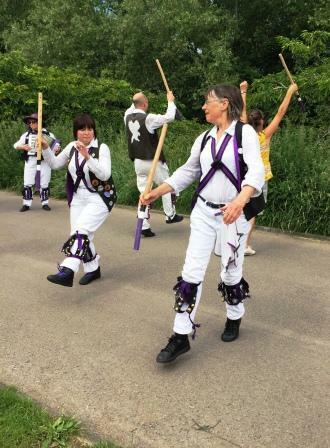 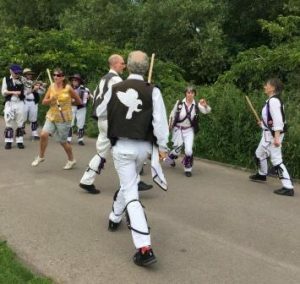 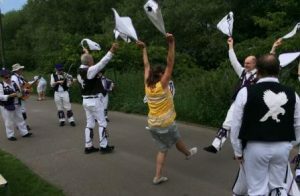 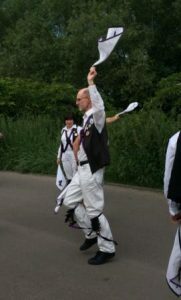 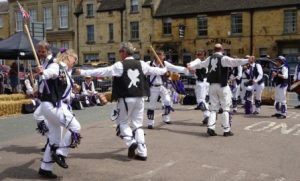 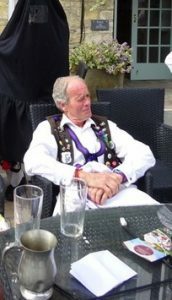 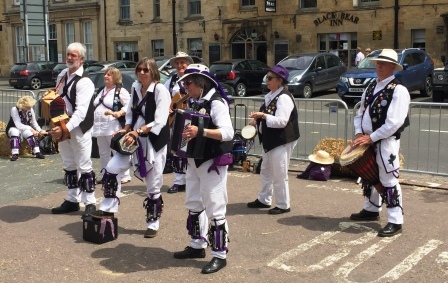 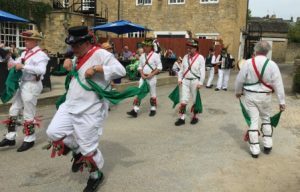 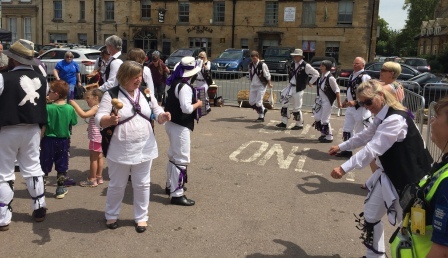 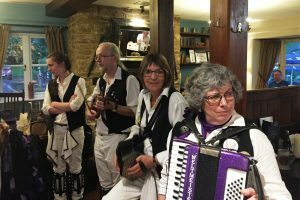 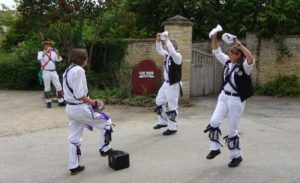 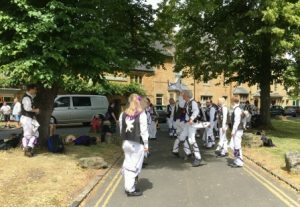 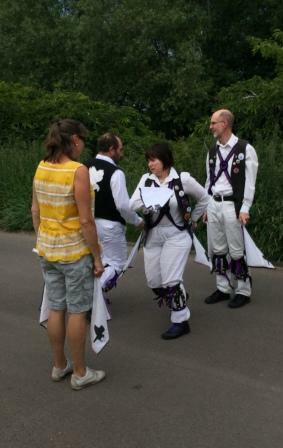 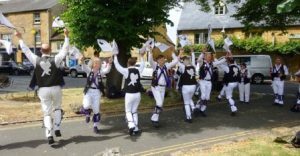 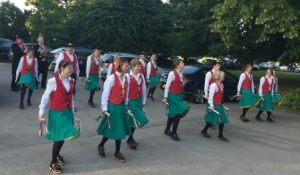 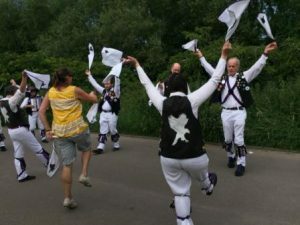 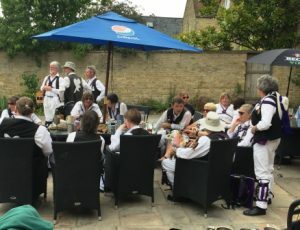 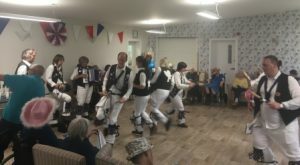 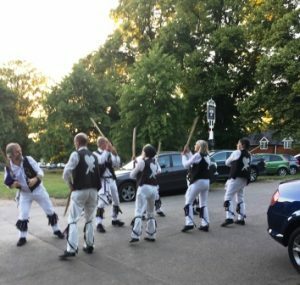 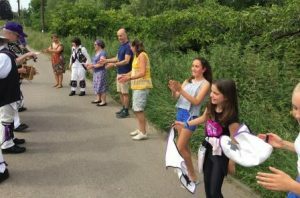 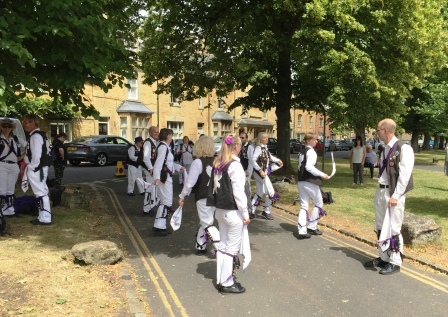 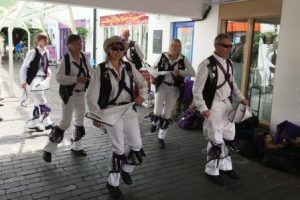 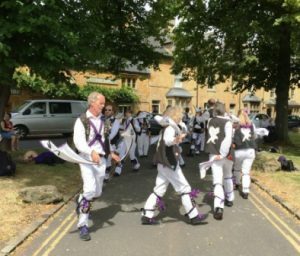 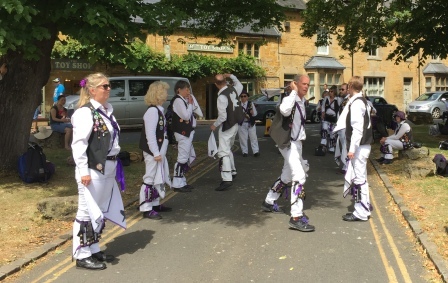 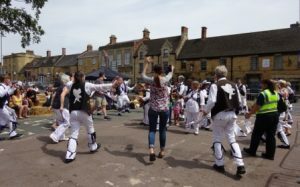 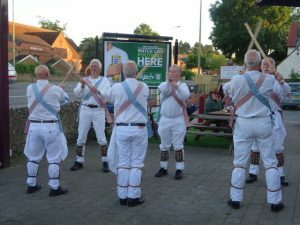 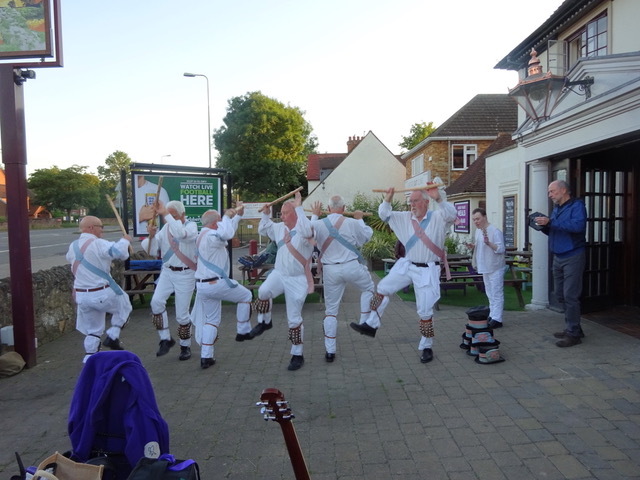 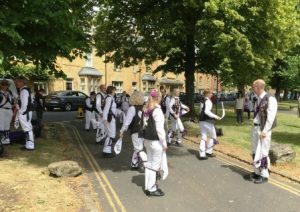 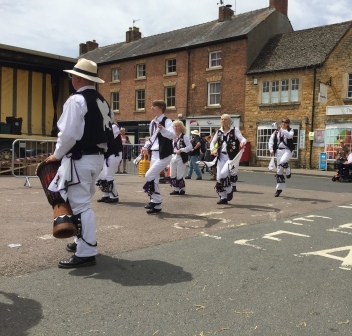 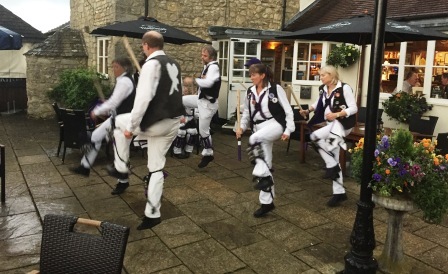 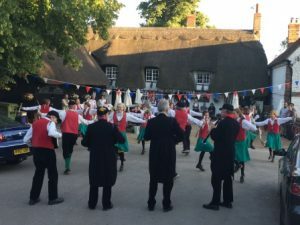 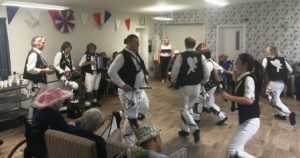 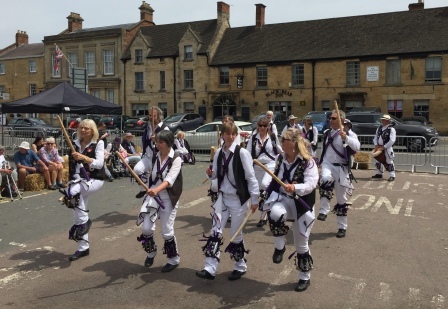 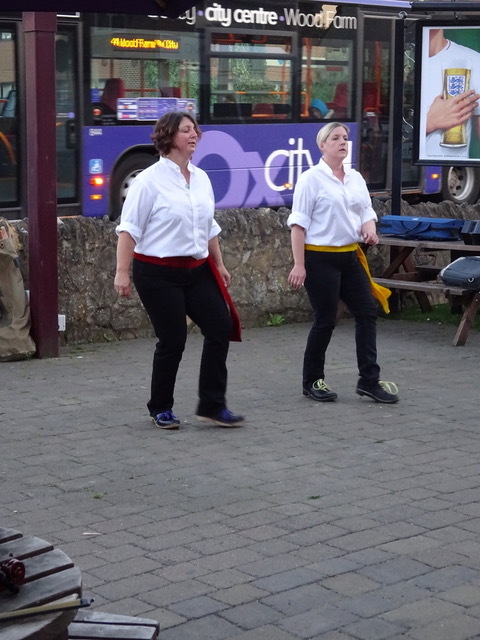 Dancing at the Bell with Cornbury Morris and friends from Towersey Morris and a guest appearance from Paul Ferrit – who helped us do what we do well – sit and sup and chat! This entry was posted in Dance Outs on June 24, 2018 by Nigel Northcott. 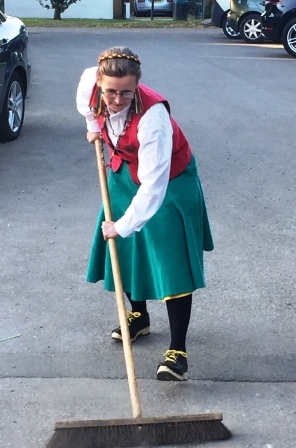 A Speckled hen demonstrates a skill I didn’t know she had! Great to have the wicket prepared in advance! 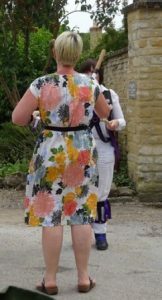 Rock Hopper first on! 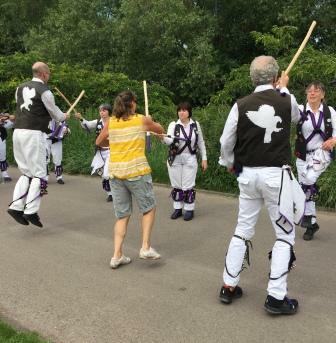 Then those hens – my what a big flock! The best was saved til last- Havocs! 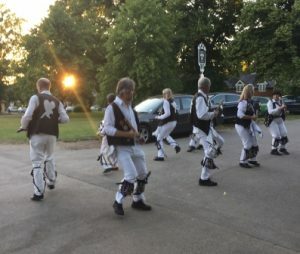 A glorious summer evening! 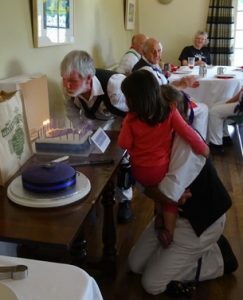 With two great guests – our guests! 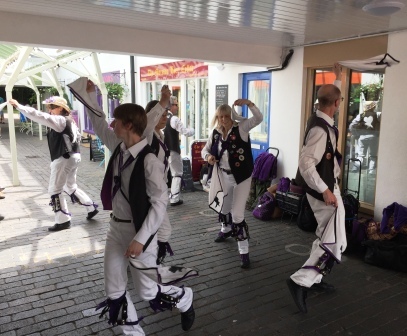 This entry was posted in Dance Outs on June 22, 2018 by Nigel Northcott. West Oxford Hinksey – Botley non cake fete! 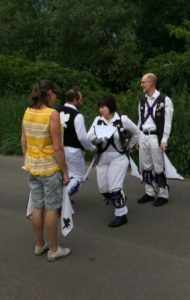 Careful observation – a member not in full kit! 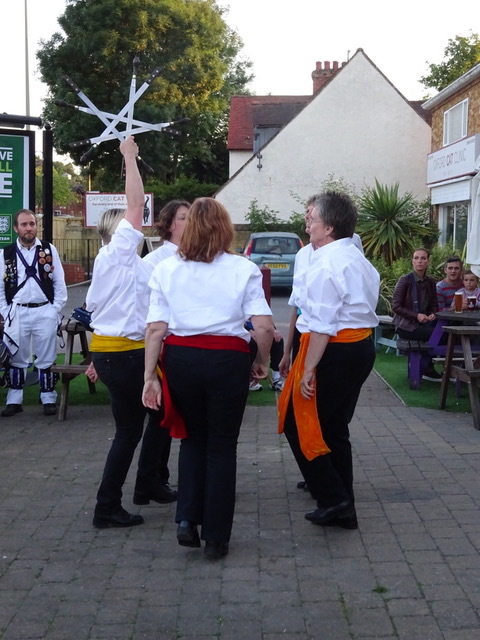 Shepherd’s Hey to round off a splendid afternoon! 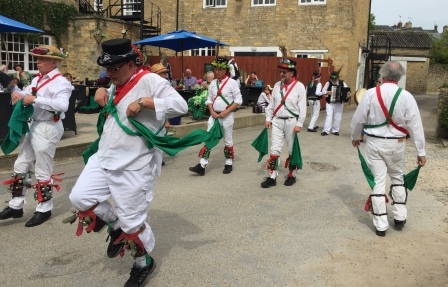 This entry was posted in Dance Outs on June 10, 2018 by Nigel Northcott. The new tent – Markey, Marquee! 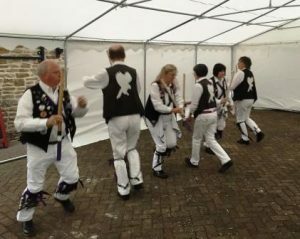 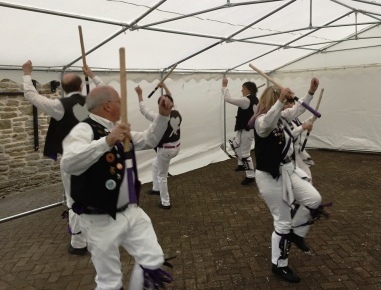 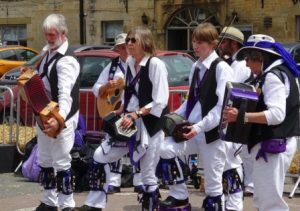 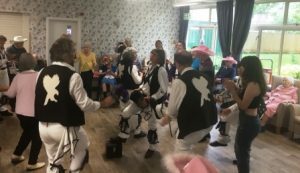 1st June – a biblical thunderstorm and a great dance out! 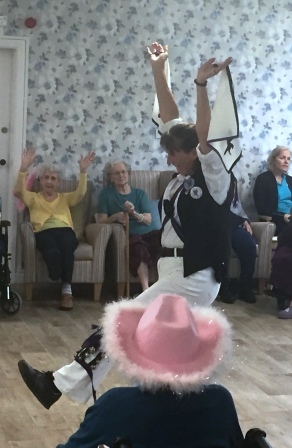 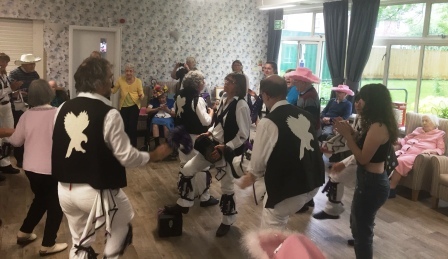 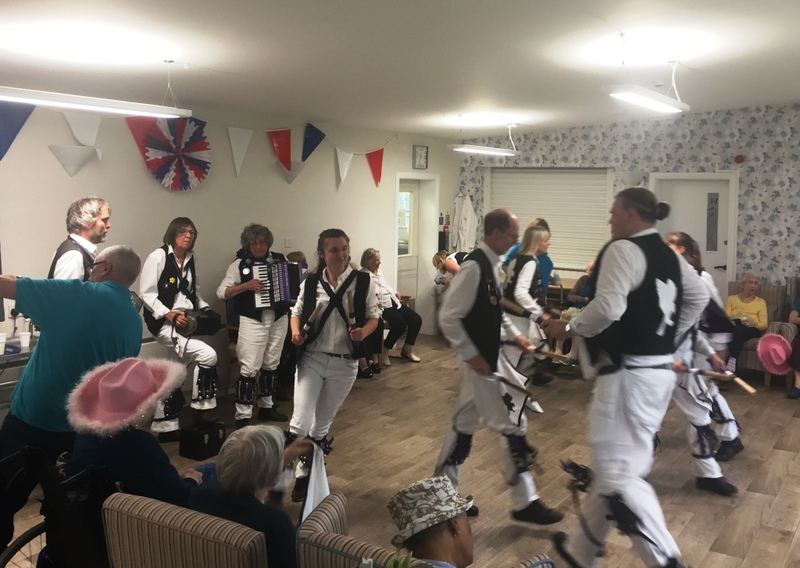 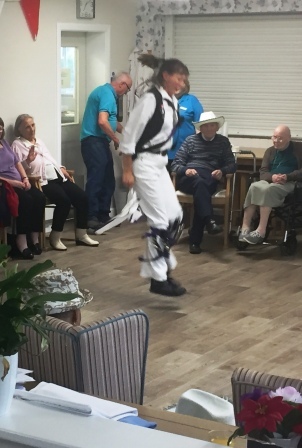 A favourite dance out – Marston Court Care Home – a very much appreciative audience and great scones! 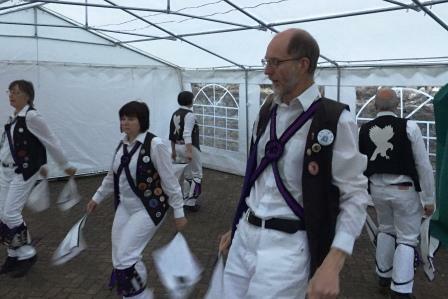 One the rain started we retreated indoors when Lelesy showed us her Mick Jagger impression – good eh! 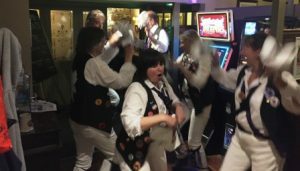 And Isabelle showed us her goldfish impression! 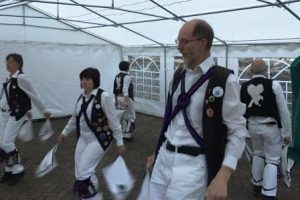 This entry was posted in Dance Outs on June 1, 2018 by Nigel Northcott.